There is no mystery as to why the No. 2 electronics retailer in the U.S., Circuit City, filed for bankruptcy on Nov. 10. You could blame it on the bad economy or decreased consumer spending ? which played no small role ? but the real culprit is good old-fashioned bad management. "Circuit City was incredibly successful in the 1980s and 1990s, but they never changed after that," says David Schick, an analyst at Stifel Nicolaus. If it had adapted, it might have ended up like its chief rival, Best Buy, which in August reported both increased sales and a quarterly profit of $200 million. Instead, Circuit City reported a loss of $239 million in late September. Another key problem for the retailer, which is based in Richmond, Va., and was founded by Samuel S. Wurtzel as a television store in 1949 (it now has about 700 outlets), was basic inventory management. "They had been unable to move their inventory," says Helen Bulwik of New Market Solutions, a retail consultancy in Oakland, Calif. That backlog left the company paralyzed, unable to buy fresh product or pay off its existing debts. Circuit City still owes $118 million to Hewlett-Packard, its largest vendor, plus $116 million to Samsung and $60 million Sony. For many consumers, however, Circuit City's most obvious failing was its customer service. In March 2007, it announced plans to lay off its highest-paid hourly employees, including salespeople, and replace them with cheaper workers. That same year, then CEO Philip Schoonover received some $7 million in compensation. 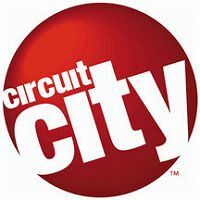 It may come as no surprise, then, that a quick Web search on "Circuit City complaints" brings up hundreds of thousands of entries. The big question now is whether Circuit City will go out of business altogether. The New York Stock Exchange halted trading when the stock hit 10 cents a share (vs. about $25 for Best Buy) on Monday. That's down from a peak of $30 in May 2006, and nearly $8 as recently as December 2007. By late afternoon on Nov. 10, a U.S. bankruptcy judge had granted the company permission to borrow up to $1.1 billion, which it will use to buy new inventory and pay workers. That should tide it over through the holidays. 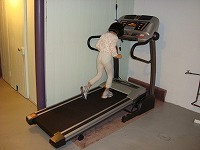 But its long-term outlook remains bleak. The silver lining ? for consumers anyway ? may be discounted goods at the 155 outlets that the chain announced late last week it would close. JPMorgan's Christopher Horvers reported flush inventory and 10% off everything from TVs to notebook computers. Good luck finding a salesperson.